In one of the year's least surprising developments, the Nevada Supreme Court has refused to overturn O.J. Simpson's conviction for armed robbery and kidnapping. The court rejected all of Simpson's arguments, which included contentions about the racial makeup of the jury, the judge's conduct, and the idea that the convictions related to the 2007 "memento heist" in Las Vegas were just delayed payback for Simpson's 1994 acquittal on double-murder charges. As you may have heard, Simpson was accused of killing his ex-wife and a friend, but was acquitted and has been searching for the real killers ever since. Not only was Simpson's conviction upheld, the court reversed the conviction of his co-defendant, Clarence Stewart, apparently on the grounds that anybody stuck sitting next to O.J. Simpson during trial is not likely to be treated fairly by jurors. Stewart will get a new trial. O.J. will continue to be a guest in a Nevada state facility for the remainder of his nine-to-33-year (but probably 33-year) sentence. 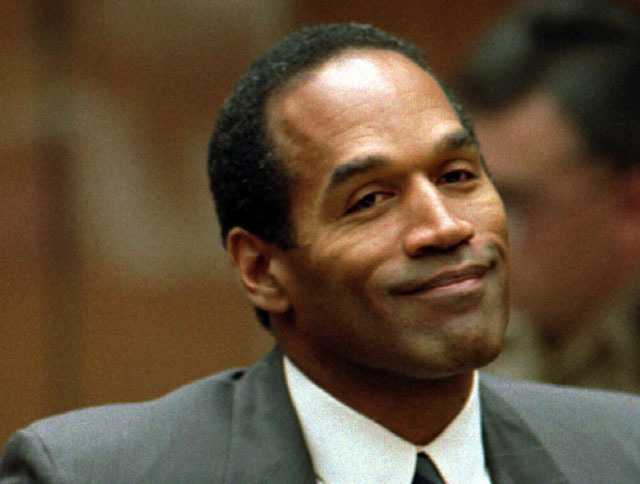 "Smithsonian Doesn't Want O.J. 's 'Acquittal Suit,'" Lowering the Bar (Mar. 2, 2010).